As mentioned in the previous post, Kyoto was my most anticipated stop, and the area in Kyoto I was most excited to stay in was Gion, where you could feel and see parts of old Kyoto (and have a genuine geisha spotting). 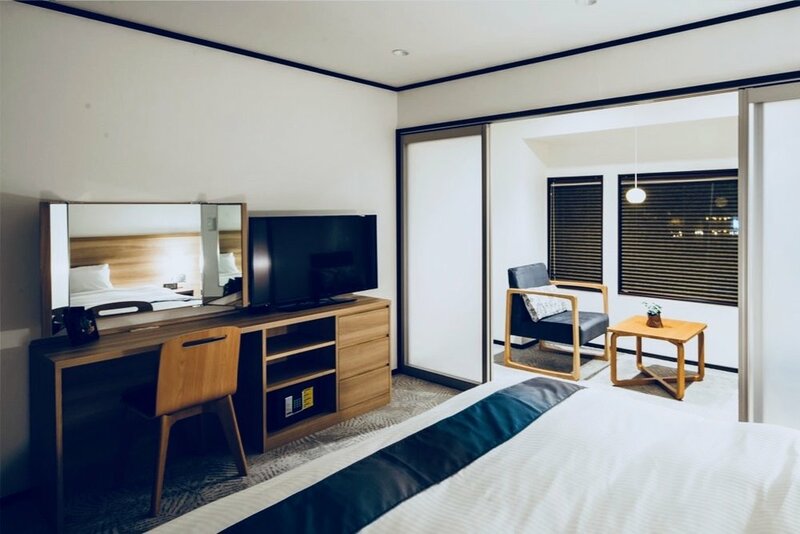 In Gion, we had an incredible, spacious 2 bedroom apartment right in the heart of the Gion district that was walking distance to bus stops, train stops, prime shopping and restaurants, and most of the iconic temples and shrines. Dining area (one night after trekking around Inari, Uji, and Nara all day, we did a massive 7/11 haul and had a late night dinner and movie night in back at the apartment). It's nice to be able to take a break from eating out on long trips. Resi Stay has several other locations around the area, visit here for more info.